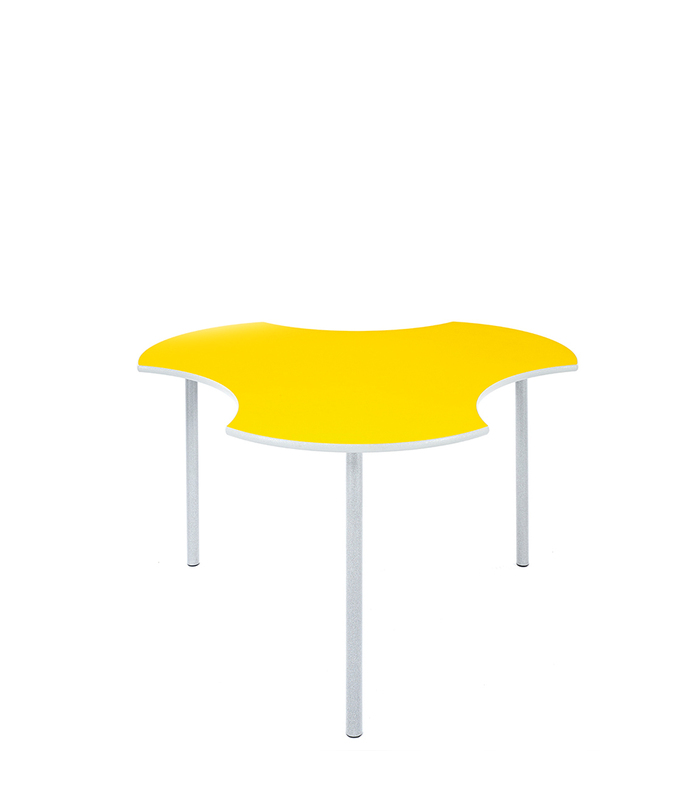 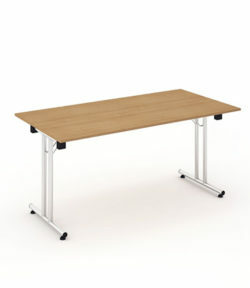 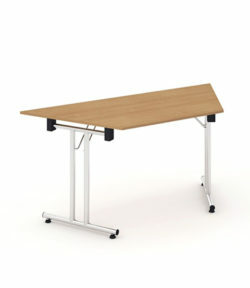 Connect tables are perhaps most appropriate for primary schools although the height range is from nursery to college / university. The shape lends itself to an interesting combination of units. 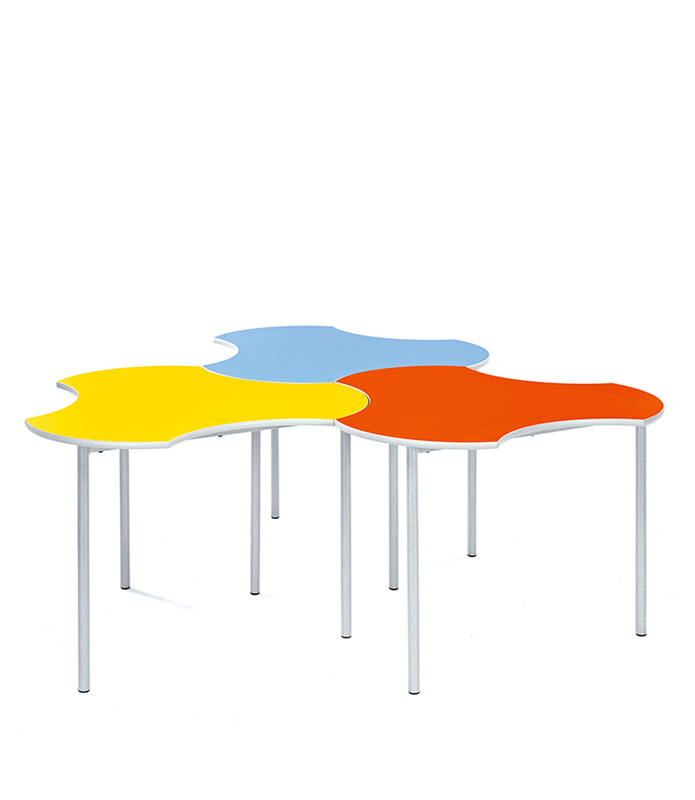 Connect tables are designed for just one person but may suit two or three users when a full working space is not essential. 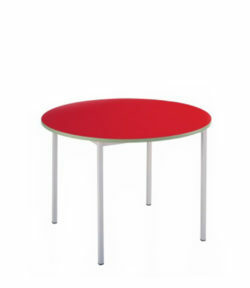 32 mm diameter sturdy round tubing legs, 18 mm thickness MDF worktop and a choice of eleven laminate colours. 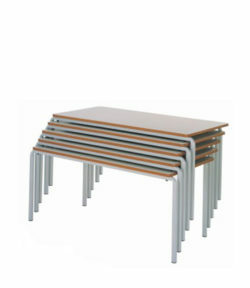 Charcoal, blue or light grey PU edge and a light grey speckled frame colour.